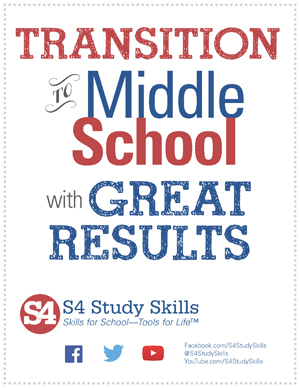 Thank you for your interest in S4’s Successfully Transitioning to Middle School. Is your student nervous about making the transition from elementary to middle school? Are you? Or perhaps they’re excited, but just unsure of what, exactly, to expect. Graduating from the sanctuary of elementary to middle school takes students to a new level of responsibility, independence, and expectations.